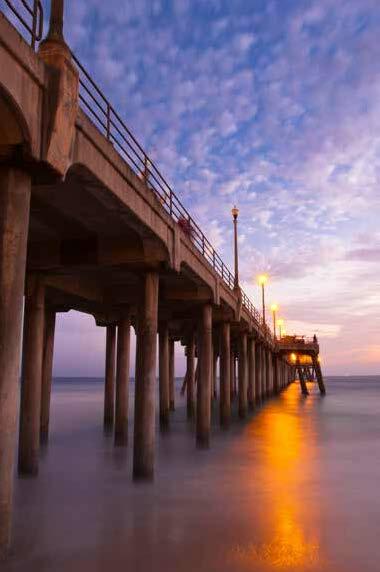 Huntington Beach, also known as Surf City, is a beautiful destination for the California Lawyers Association 2019 Solo & Small Firm Summit. We have planned an exceptional educational program for you in a destination with many fun, local attractions for the family and friends who may be joining you. This is not your ordinary weekend CLA program! Learning environment that serves as the perfect summer getaway in the heart of Surf City Huntington Beach, California! 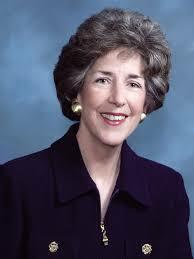 A Conversation with California Supreme Court Associate Justice Carol A. Corrigan (pictured) Luncheon Program on June 14. Select Course #17. Preserving an Adequate Record for Appeal …. From Hi-tech to the Dark Ages in 60 Days featuring Appellate Court Associate Justice Eileen Moore and Associate Justice David A. Thompson, and Orange County Superior Court Judge Peter J. Wilson on Friday Afternoon. Select Course #21. Welcome and Opening Remarks by Heather Rosing, President, CLA; James P. Hill, Chair of Board of Representatives, CLA; and Ona Dosunmu, Executive Director, CLA. Are you afraid that artificial intelligence will replace you? If you are, this session will allay your fears. Learn how artificial intelligence can make you a better, more efficient and effective lawyer; how to use analytics to make better decisions about your practice; and how to most effectively use Fastcase (a CLA member benefit) and all of its tools. The legal profession, not formerly known for tech savvy, has developed many technological advances in the fields of security, automation, integration, and communication. This program will outline technology that may streamline processes and increase efficiency in solo or small firm practices. Learn how to evaluate your law firm’s technology needs, understand the ethical responsibilities of storing and maintaining client data electronically, and determine whether additional infrastructure may provide competitive advantages. Lawyers are open for business 24-hours a day. They communicate via Social Media, on smartphones, tablets and notebooks while in coffee shops, taxicabs, airports and other public spaces. This program will review recent ethics rules addressing technology, and will provide tools to protect confidences and privacy for both attorney and client. This program will acquaint you with the many issues challenging a start-up entrepreneur who needs to build a solid legal foundation on which to run his/her business. Key program topics include formations, founders agreements, tax options, and initial vendor/customer legal arrangements. 2:45 p.m. – 4 p.m. This program will cover an attorney’s ethical obligations and State Bar rules concerning Client Trust Accounting— a leading issue for attorney discipline. A State Bar of California expert will offer key information to keep you in check. Learn the basics of e-discovery best practices from a litigator, discovery referee and eDiscovery provider who will explain how to approach and manage e-discovery in a solo or small firm setting. Topics will include preservation, collection, review, analysis and production. This program will outline ways to create a more efficient law office using low or no-cost solutions. Learn about legal research tools, practice management tools, use of paralegals and temporary staff; and appearance services. Speakers also will address share file structure (naming) for a digital office, useful office equipment, and legal issues with cloud storage. While Social Media presents great opportunities for small firms to promote themselves, it also presents many ethical perils. Find out how to use social media to trigger calls from potential clients, and not the State Bar. Join us in the Exhibit area for our opening night reception, and establish a rapport with our Solo Summit vendor representatives. Featured during the reception is the specially arranged “Head Shot” Truck (located curbside at the Conference Center Porte Cochere), sponsored by the CLA Solo and Small Firm Section. This is one of two opportunities for you to get your professional photo taken for your social media endeavors (limited and on a first-come first serve basis.). If you miss this chance, the Solo Section will set up a photo studio on Friday evening at their annual Reception and Awards Presentation. Kick start your day at the Summit’s entertaining networking breakfast. Begin forming key connections during this fun session. Not for MCLE credit, but RSVP on Course Selector. 9 a.m. – 10:15 a.m. Jurors expect to receive information visually, and they remember and believe visual presentations. A litigator and graphics consultant will teach you budget-conscience ways to make visual presentations at trial. Are you aware of your ethical responsibilities regarding privacy security in your office? At this session you will learn practical cyber security and offline protective measures to safeguard your clients’ sensitive information and prevent violations in your office. Don’t miss this interactive program giving you the tools you need to be safe. Most lawyers don’t fully understand the technology powering their legal research tools. Learn how engineers, law librarians, and other experts evaluate legal research tools, including case citators, relevancy rankings, and other features, so you can identify the best legal research tool for your practice. Data security is not simply a smart risk management step for solo and small firm practitioners. Specific legal and ethical obligations require law firms to provide data security for both firm and client information. This program will review the ethical obligations, present strategies for compliance, and explain the risks that law firms face in this connected environment. Marketing legal services is a process, not an event, and must be thoughtful, disciplined, consistent, and in compliance with the Rules of Professional Conduct. Learn how to design a plan that is realistic and aimed at the target. Topics covered include market exposure, writing articles, and social media. This program will cover the “nuts and bolts” for debtor and creditor lawyers, and review the critical statutory rules and case updates in Bankruptcy law. This program will focus on how to get your evidence and exhibits in a court of law. Learn strategies to present your cases with confidence, meet your opponent’s objections to your evidence, and how to challenge their evidence and objections. (20) Elimination of Bias: Is it Possible? This program will examine current events, taken in light of technology that gives one the ability to span the globe with instantaneous communications, to see how bias can, and will, affect your practice. Whether or not a lawyer will hire an appellate specialist, it’s up to the trial lawyer to preserve issues for appeal. A prestigious panel of jurists will provide insights to presenting an adequate record for appeal, with their conversation focused on what to do when there is no court reporter, rulings on objections, in limine/402 motions, offers of proof, statements of decision, jury instructions and verdict forms, and settled statements. 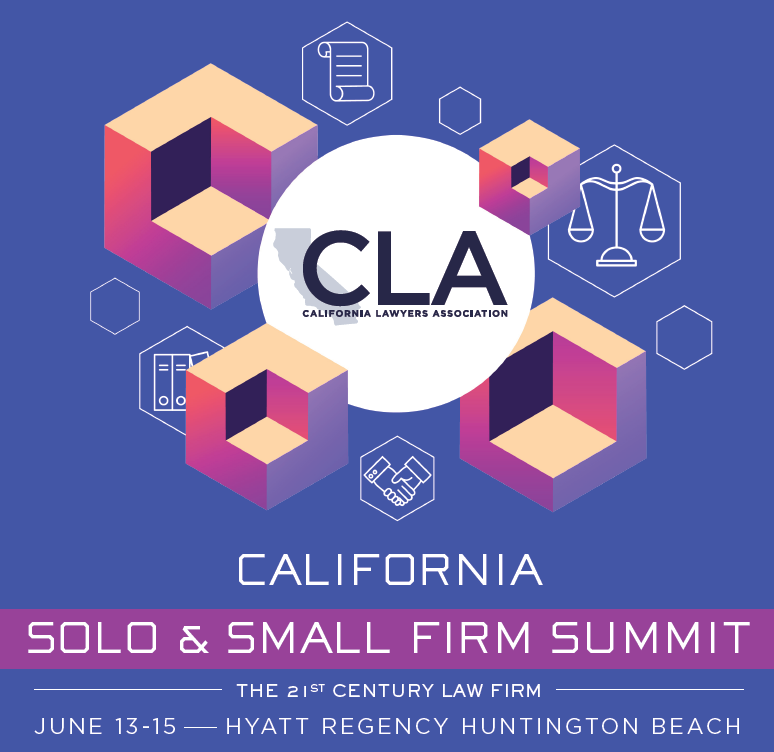 Join the Solo and Small Firm Section at it’s annual reception and presentation of their 2019 Excellence in Practice Award to Norma J. Williams, Williams & Associates, and 2019 Excellence in Service Awards to recipients Summer Cyd Selleck, S.C. Selleck Law, and Sheila-Marie Finkelstein, AHAVA Law, P.C. Enjoy light refreshments and get in line for your social media photograph at the “Head Shot Studio” made possible by the Solo & Small Firm Section. By passing SB 1343, California has expanded an employers’ obligations to provide sexual harassment training. Now, employers with five (5) or more employees must provide harassment training, including many small law firms that previously had no training requirement. This program will provide the details of the new requirements and provide methods to comply with them. Learn which legal duties exist when a sexual harassment complaint is made and get a start-to-finish overview of how to properly investigate sexual harassment claims in the workplace. Speakers: Toni Jaramilla, Esq., Los Angeles; Thomas A. Lenz, Esq., Pasadena; Michael Robbins, Esq., Los Angeles. This presentation will focus on the basics of “going paperless”, including use of the cloud and related ethical considerations, transforming a paper file into an electronic file, and how to access electronic files. Solo and small firms often provide counsel to small businesses who must comply with environmental regulations even when they have a small environmental footprint. This program looks at a variety of business dealings impacted by environmental law, for attorneys to better foresee issues and counsel their clients. Topics include how property acquisition implicates land use and contamination liability, consumer products requirements, permitting, indemnification, enforcement, and hazardous waste management. This program will focus on the role of prose, counselors and the court when litigating domestic violence actions. California employment laws protect all workers, not just those authorized to work in the U.S. Federal immigration and Labor laws also create compliance obligations for California employers. This program will cover the basics of immigration and employment law compliance issues for employers. Learn about immigration compliance issues, including which types of foreign national engagement require employer sponsorship, compliance with the Department of Labor regulations, and required documentation at the point of hire and later. Speakers also will address job postings and applications with foreign workers, “deemed exports”, and the conflicts between California Labor Laws and Federal immigration priorities. This program will cover effective strategies for managing office interruptions, eliminating stress, and getting home on time. Learn various proven stress-reduction strategies, and take away sample time templates and worksheets that you can utilize in your law firm to run your practice with ease. (29) Don’t Pay These Taxes: Personal Liability Follows! It surprises many to learn that individuals can be personally liable for certain taxes notwithstanding corporate protections. Before putting yourself in a “responsible person” position, or if you advise clients in a similar role, learn about how the IRS, CDTFA and EDD personally assess individuals and common defense strategies. For registration information call (916) 516-1757 or email ProgramRegistrations@CAlawyers.org. For special assistance call (916) 516-1714. Refund requests must be received no later than June 7 and are subject to a $50 service charge. Email to ProgramRegistrations@CAlawyers.org. $239 per night + applicable taxes for single/double. Daily resort fee is waived for Solo Summit guests. A special block of rooms has been reserved for Solo Summit attendees at the discounted nightly rate of $239 (+ taxes). Reservations must be received by May 3; but don’t wait to book your reservations as the hotel block may sell out before the May 3 deadline. Book online at https://www.hyatt.com/en-US/group-booking/HUNRH/G-SOLO or telephone (800) 233-1234 and state you are attending the Solo Summit event on June 13-15 to get the special rate. 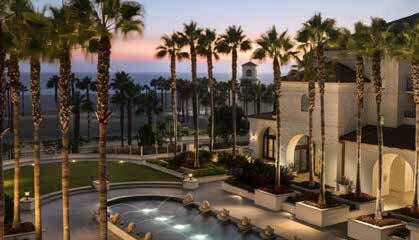 The Hyatt Regency Huntington Beach is located in the heart of Huntington Beach, California. The beachfront property is walking distance to shopping and dining at Pacific City, and within a 30 minute drive to many museums and theme parks in Orange County. Air: Nearby airports include: Orange County/John Wayne Airport (13 miles), Long Beach Airport (17 miles), and Los Angeles International Airport (38 miles). The Summit education sessions may be recorded. By attending the Summit, you consent to be photographed, filmed, and/or otherwise recorded, and to any use, by the CLA, of your likeness, voice, and name in any and all media including social media. If you do not want your name or photo to be used, please let us know in advance. We cannot, however, honor requests to opt out of the use of your image or voice if you choose to ask a question during one of the event sessions. The California Lawyers Association is a State Bar of California approved MCLE provider.